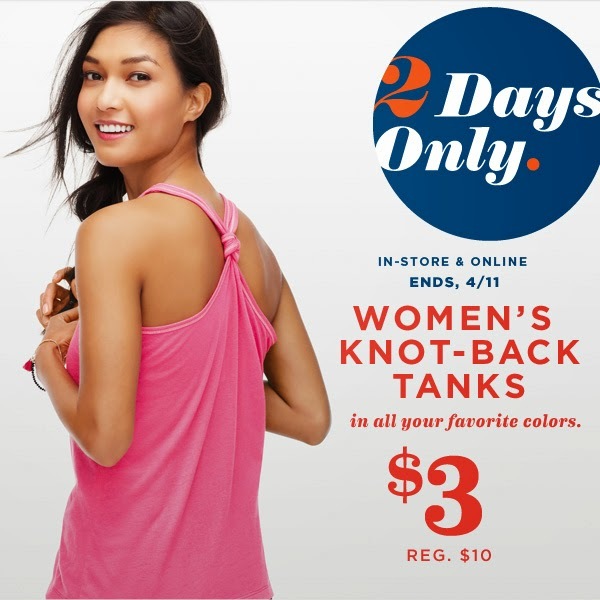 Today and tomorrow only, head over to Old Navy and get Women's Knot-Back Tanks for only $3 (Reg. $10). Ends 4/11. Restrictions apply. Shipping is Free on orders $50 or more. Plus, you can shop GAP, Banana Republic, Old Navy, Piperline and Athleta all in 1 cart. Offer valid in stores and online at Old Navy through 4/11/15 in the US and Puerto Rico.